Mephisto’s Journey to “the Honey Spike”. While “The Honey Spike” is indeed a play singing the virtues of life and the fervent dedication of expecting young parents, it is also the fear of death and superstition which supersedes the anxious wait for new life. A young Traveller couple, Martin and Breda Claffey have travelled the length and breadth of Ireland, on their own journey and adventure as newly-weds. From the cliffs aside the Giants Causeway, on the tip of Ireland’s East Coast, the pregnant Breda is nearing her ‘time’. Her baby is but days away from life. 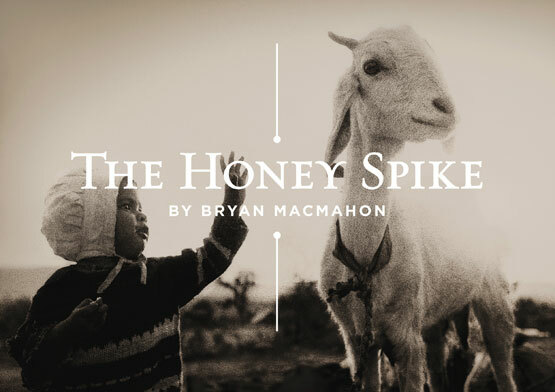 Driven by tradition and superstition and indeed also fear, Breda longs to abide by her mother’s wish, to have her baby at the ‘lucky’ spike – the Honey Spike – back in her home of Dunkerron in South Kerry. The arduous journey brings the couple on an expedition through the heart and soul of Ireland. They must encounter a Border region “full of smugglers and IRA”, a lifeless midlands and perhaps most troublesome of all – the Puck Fair Festival in Kilorglin. The symbolism of Puck Fair, being a Festival that many believe to be Pagan in origin and which celebrates the goat as a symbol of fertility, is fantastically written by McMahon and driven with skill by director Caroline Lynch. The passion to return to the Honey Spike at which to birth her child consumes Breda, as does her Catholic fears such as losing her ‘blessed cord’. The mixing of Catholic and Pagan symbolism reminds much of Vincent Woods 1992 play “At the Black Pig’s Dyke” which was produced by Druid Theatre Company. The story tells of families in the Border counties of Leitrim and Fermanagh where local feuds are passed down through generations. This is evoked through using the local traditional customs of the’ mummers’, characters, who since Pagan times, celebrated life, death, growth and harvest. The oral tradition of storytelling that surrounds the Irish Travelling people is never far from MacMahon’s mind. A volume of his own autobiography is called “the Storyman”, named after a child in the street who stopped him and asked was he the “Storyman”. Characters like Dicky Bird, excellently portrayed by Sèamus O’Donnell, represent the wandering bards synonymous with the story-telling tradition of MacMahon’s North Kerry as much as with the Travelling community. The play is also so much an exploration of language. Turns of phrase local to those from the Kerry or Munster region differ from those we encounter from the character of Meg McCuteheon from the North of Ireland. These phrases are in turn different again from those purely native to the Travelling community. Dicky Bird, the Traveller, recounts prayers in the traditional Traveller Gammon dialect, which is joined in chorus by those other Travellers around him. 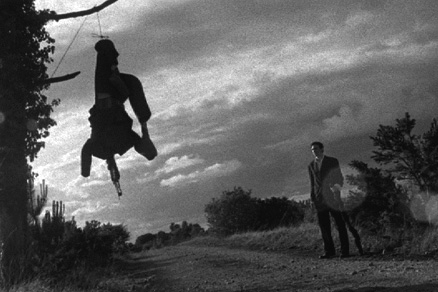 The closing scenes offer a reflection of supreme pathos. As Dicky Bird has confounded all who he encounters with his riddles and rhymes, so too is the confounding riddle of life and death played out at the Honey Spike – the end of a journey. Perhaps most fittings of all to sum up this is a riddle by Bird himself. It is introduced as being written on the gravestone of a poet in the north-west, Yeats himself: “Cast a cold eye on life, on death. Horsemen, Pass by”. 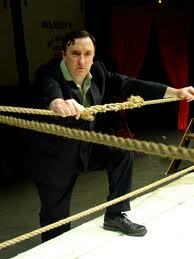 Mephisto Theatre Company have produced a real classic here and in doing have staged an impeccable production. 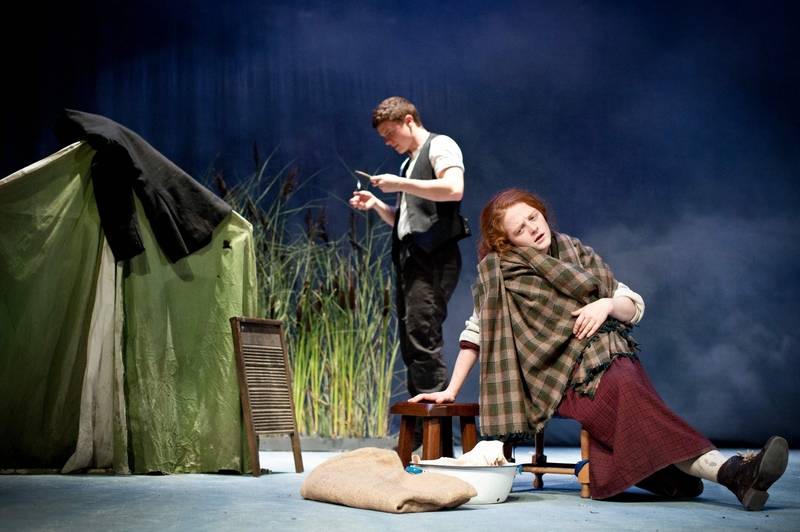 Emmet Byrne and Emma O’Grady (Star of earlier Mephisto production of Grenades) are outstanding as the young Traveller couple who must overcome religion, feuds, prejudice and often their own fears and customs so that their child might live. O’Grady relishes the rich character and language of Breda afforded to her character by MacMahon. Daniel Guinnane also gives a great turn as the drunken Mickle Sherlock. Mephisto are quickly establishing themselves as a company of considerable ability and imagination. It is a truly moving and powerful production, full of lyrical beauty, stories, humour and grief and is not to be missed. The Honey Spike is at the Town Hall Theatre, Galway, 9 – 13 August 2011. This year’s Galway Film Fleadh is in full swing across the city. There is an astounding array of film from new Irish short films, new Irish features, international features and shorts, new and archive Irish documentaries and even a series of archive German films. For those with more than just a passing interest in the documentary and historical films in the Fleadh, here is a listing of just a few. One of the stand-out films of the Galway Film Fleadh is “Bernadette: Notes on a Political Journey”. Exploring the life of Bernadette Devlin McAlliskey, hers is a truly remarkable life who experienced life in the North of Ireland during the height of thefight for Civil Rights, the Troubles and in the North that struggled for peace in the face of an unrefined hatred. McAliskey was elected MP for Mid-Ulster in the 1960s at the age of 21 and continually fought for civil liberty and an end to the vicious sectarianism of those who lived and governed in the North. Described by the documentary maker Leila Doolan, “She (McAliskey) has always been a human rights activist. 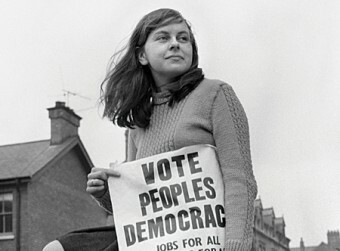 Civil rights has always been at the heart of what she has done and she is a woman of incredible eloquence and clarity.” Doolan and Bernadette Devlin McAliskey will be present at the screening and what promises to be an incredibly powerful evening. “Blazing the Trail: The O’Kalems in Ireland” was a screening of the earliest works of fiction which depicted Ireland on screen. Produced between 1910 and 1915, the O’Kalem group were led by actor/director Sidney Olcott and actor/writer Gene Gauntier. The works used on-location filming primarily in the Kilarney area of Co. Kerry. It is amazing to consider the representation of Ireland to an American audience at the turn of the Twentieth century. At this very time in Ireland revolution was brewing and it was barely half a century since famine had ensured emigration to America by the Irish was in waves of tens of thousands. “Blazing the Trail” offers accounts of the making of these films as well as the original works themselves. “A Door Ajar” is a dark treatise on the visit to Ireland in 1937 by French playwright and poet Antonin Artuad. Artuad is best known perhaps for his work “The Theatre and Its Double” which contained his idea and ambition for a theatre that would force his audience to viscerally experience the basic elements of human existence. ‘The Theatre of Cruelty’ as he called would expose the audience to the finest details of their emotive subconscious which would ‘cruelly’ awake them to greater sence of experience in the theatre. Artuad came to Ireland in 1937 carrying a wooden staff which he believed was the true staff of St. Patrick. Folllowing an arrest in Ireland not much else is known of his visit. “A Door Ajar” discusses this journey to Ireland by Artaud and also looks at his writings, ideas and life. “On the Box” is a selection of Irish documentaries to be screened on Saturday 9 July at the Fleadh. “Who is Dervla Murphy” follows the life and work of Ireland’s most prolific travel writer who has toured the globe for the past five decades. I attended a public interview with Murphy at the National Library of Ireland in 2009 and found her an incredibly interesting woman with an amazing life of travel and experiences. Harry McGee’s short film “Coiscèimeanna: the Famine Walk” which discussed the journey of those who died trying to escape starvation in the West of Ireland is an interesting film which traces the devastation of famine and emigration had in the West of Ireland. Part of the ‘New Irish Shorts – Way out West’ series and this film featured earlier this week in the Fleadh. If you have seen any of these films or plan on seeing those still to be screened please feel free to comment and leave your thoughts. The Cuirt International Festival of Literature got off to a strong start in its Galway home yesterday. Events are taking place city-wide and taking place until Sunday. The Festival, officially launched by playwright Thomas Kilroy is in its 25th year and is showing no signs of slowing up after its quarter century. The Town Hall theatre is just one venue that will be a hub of activity for the week. Things kicked off with a talk with authors Paul Murray and Dermot Healy. Healy’s new novel Long Time No See has been getting a considerable deal of extra attention of late owing to a spat based in the letters page of the Irish Times on various opinions on opinions of Healy’s book. Healy has kept his council on this matter and last night’s talk along with the excellent Paul Murray got focus back on the writing. In the Town Hall Theatre studio space Tara McEvitt’s play Grenades was playing to a sell out crowd. Winner of the P.J O’Connor award for the radio version of the play, McKevitt presents a stark yet touching portrayal of family, relationships and death in the North of Ireland still reeling in the grip of sectarian violence. The soundtrack is fantastic with true classics from Thin Lizzy and the Undertones, linking the innocence and care-free youth of Nuala and Oran Kelly, who proudly sport the badges of their favourite bands on their denim jackets. They do not so openly display their religion or political beliefs, Nuala, particularly is bewildered by the presence of a gun in her granddad’s shed. Her childhood is shattered suddenly as physical and metaphorical grenades are lobbed into her life and take with them those she loved most. Nuala is brilliantly played by Emma O’Grady is this solo performance piece presented by Mephisto Theatre Company and will definitely be a highlight of the Cuirt Festival week. Wednesday’s festivities sees what promises to be a great insight into two leading current female playwrights, Nancy Harris and Stacy Gregg. Both have staged new works (No Romance, Harris) or will stage new works (Perve, Gregg) at the Abbey Theatre. Both authors will discuss their new works with Dr. Patrick Lonergan who lectures in NUI Galway and author of many works such as Theatre and Globalisation: Theatre in the Celtic Tiger Era. Gerbrand Bakker adds a prestigious international flavour to teh Cuirt Festival. Bakker was awarded the International IMPAC Dublin Literary Award in June 2010 for The Twin, his first novel published in English, beautifully translated from the original Dutch by David Colmer. A personal highlight takes place this Friday, 5pm, at Charlie Byrne’s bookshop where Kevin Barry will launch his new novel, The City of Bohane. Barry’s debut novel, following on from his excellent debut collection of short stories, There are Little Kingdoms, has just been released and will be a test of the young writer’s jump from the short form to the novel. His style, themes and language make Barry stand out with huge excitement. It promises to be an exceptional story and an interesting evening in conversation with the writer. Barry features again on Saturday in a panel discussion on the short story in Irish writing entitled Granta: the Irish Story. The distinguished panel includes Booker prize winner Anne Enright who edited the recent Granta Book of Short Stories, Phillip O’Ceallaigh and Eilis Ni Dhuibhne. The short story has undergone a major renaissance and rejuvenation in recent years and when better to discuss how and exactly why this has happened is with a new generation of award-winning short story writers. The panel discussion takes place at Druid Theatre at 1 pm. I will keep you posted on as many events as possible over the course of the week. Get your diary out and start filling! 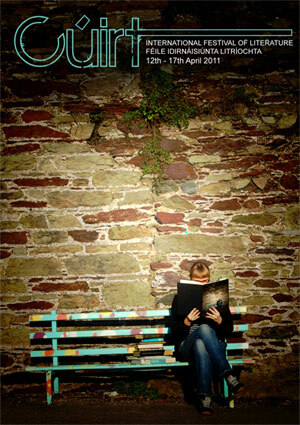 Galway is known as a city of festivals and there can’t be a better way to get things rolling that with Cuirt 2011!